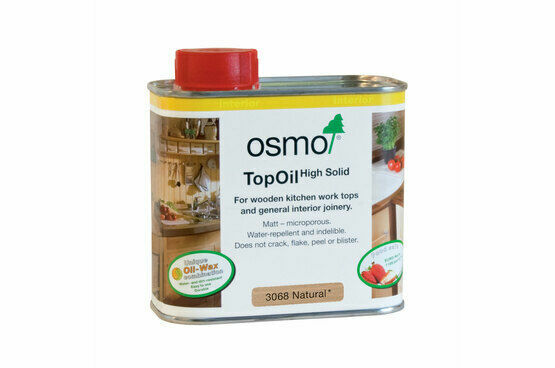 Osmo top oil is designed for use on wooden kitchen worktops and general interior joinery. 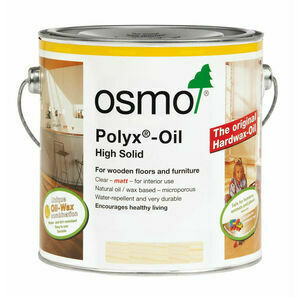 Based on the original polyx-oil this is extremely tough and hardwearing. 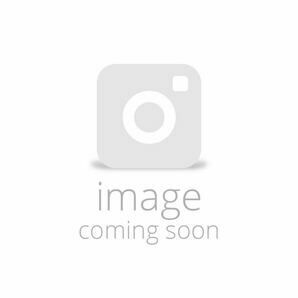 It is water repellent and resistant to wine, beer, coffee, cola, fruit juices and milk. 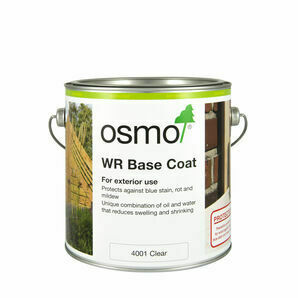 The natural finish has a small amount of white pigment that prevents the darker wet look caused by clear finishes. The timber retains the natural unfinished look while being fully protected. 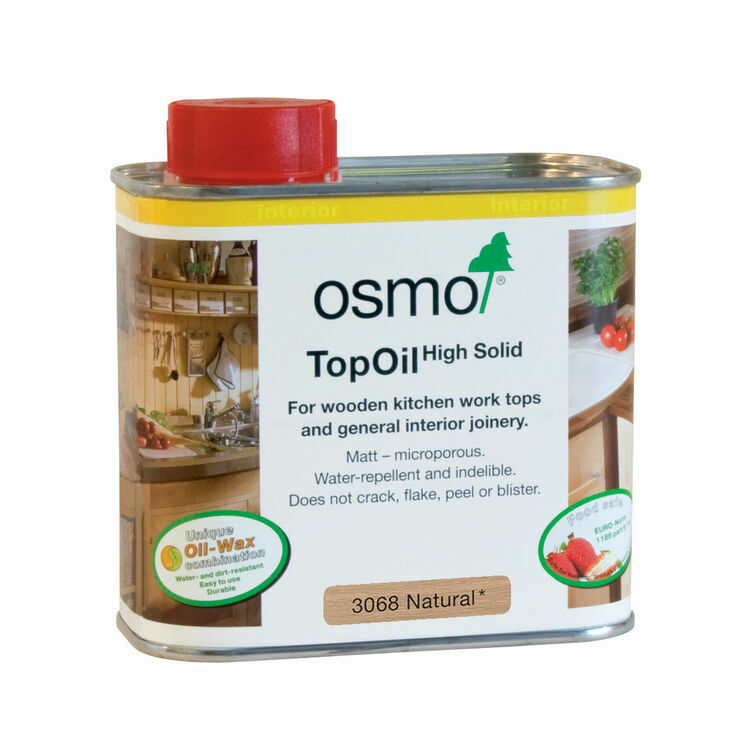 When using on worktops or in damp environments, such as bathrooms, we recommend an initial coat of Osmo 4006 wood protector for extra protection against moisture. 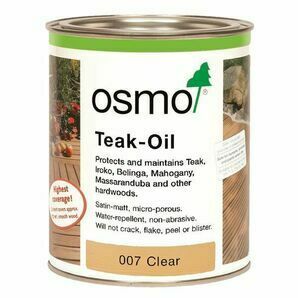 This is a great way to finish oak, and I suppose many hardwoods. 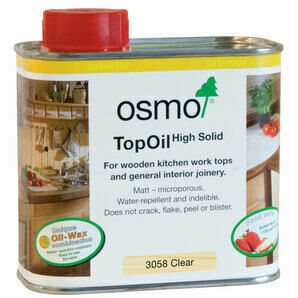 It is natural in colour but slightly darkens and enhances the grain of the wood, especially with several coats. It gives the slick finish of professional expensive furniture, without any stickiness or shine, and looks great.